Cherrie tomatoes, lenses, all types of raw and cooked vegetables, pasta, pizzas and soups. 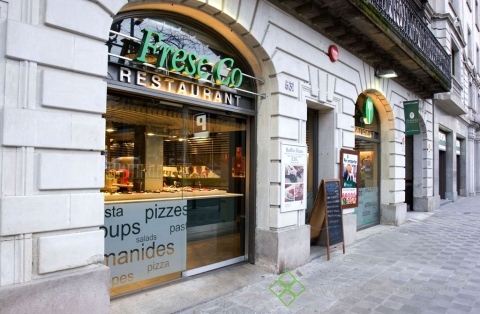 Fresc Co is the choice when you wish to eat healthy fast food in the city. Menues for 8,30 EUR mon-fri. Evening menus, as well as, weekend and holiday menue for 9,95 EUR, with “All you can eat”. 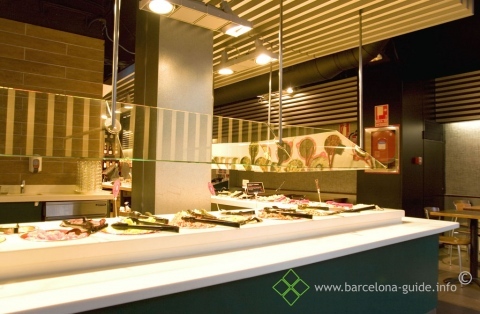 Fresc Co is found at several strategic places in the Barcelona, you will find one very near any of our accommodation services.